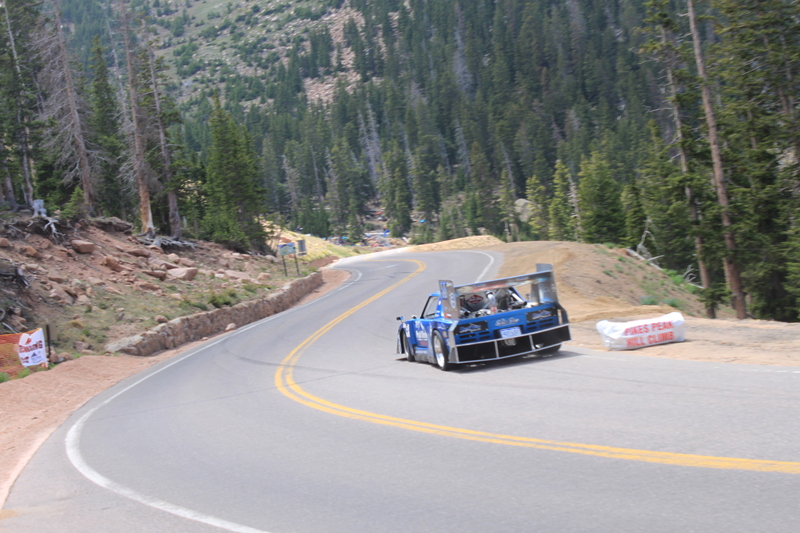 Pikes Peak demands a certain level of customization that goes beyond the simple turn of a wrench. Cars are developed specifically for the race, and with classes like the Open-Wheel and Unlimited categories, we often see cars reach an extreme tier of modification. This example, of what was once a Porsche 914, has been tweaked and reworked to host a monstrous V-8 right in its thorax—and with its Ediger Special widebody, it looks the part, too. Where we parked at Glen Cove, everyone yanked their head towards the lodge at what sounded to be another heavy-hitting muscle car. Much to our surprise, this 914 popped over the hill and took us for a ride as it blasted past the crowd. Its stretched hips and mountainous exhaust note matched the intrepid backdrop, and with hillclimb veteran Chris Strauch piloting it around the course, it performed exceptionally well against more-inherently race proven machines like the 1973 Porsche 911 RSR. The car was fitted with giant aero pieces, including a snowplow front splitter and skyscraper rear wing, but despite these obviously purpose-driven editions, they were fitted like a well-tailored suit. Its composure around track was especially impressive given its lopsided power-to-weight ratio and natural tendency to oversteer off-throttle. 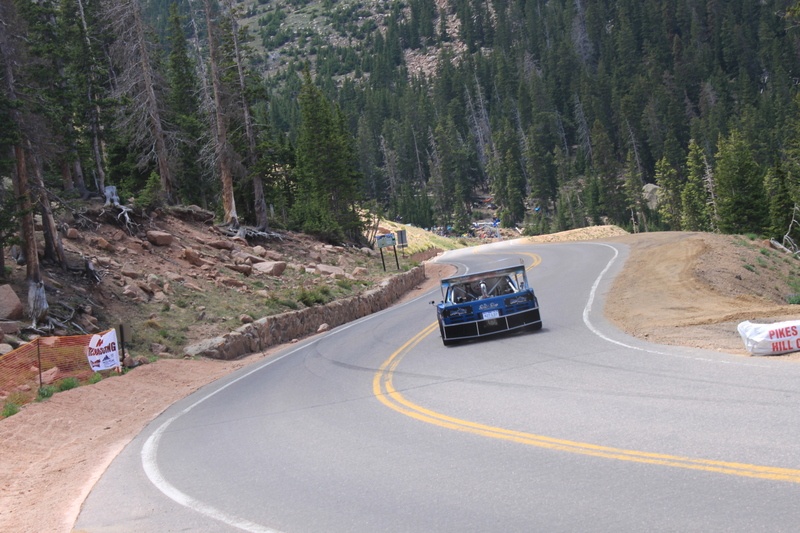 Throughout the car's climb to the 14,115 foot summit, it stuck to the asphalt and played contrarian to every thought you had as to how it would behave on track. 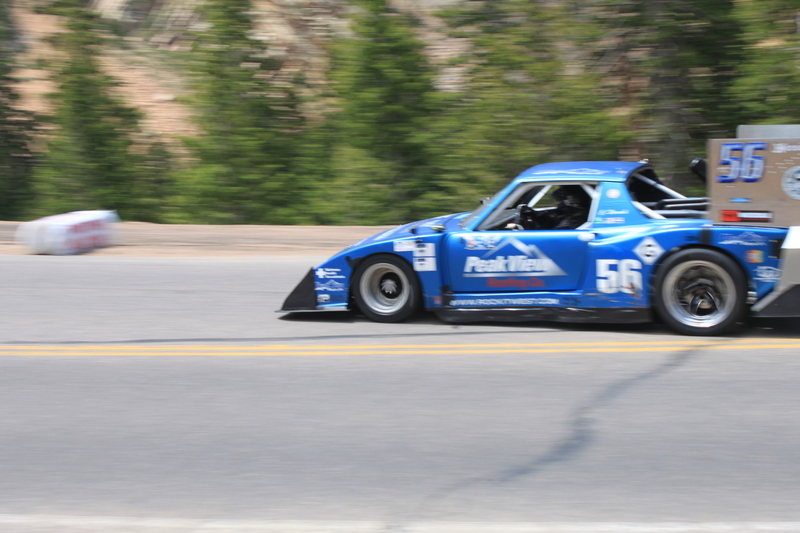 This 914 personified the spirit of home-builder specials at Pikes Peak, and we honestly wouldn't mind seeing it go a step further to prove what the #56 can do at next year's event. When things don't go as planned, just stay back.